YABC: You nail the emotional havoc Eden goes through after the ultimate betrayal of being raped by her older brother's friend. What was the inspiration behind writing this story? Amber Smith: I’ve always felt inspired to tell the stories that might otherwise be suppressed. I had wanted to write about abuse and sexual violence for a long time. These are issues that hold a lot of personal meaning for me, but they are also a lived reality for so many. The sad truth is that in the U.S. someone is sexually assaulted every two minutes. Sexual violence is an epidemic, and unfortunately, extremely common in the lives of teens. In fact, I’ve seen statistics suggesting that by the age of 18, anywhere from 1 in 6 to 1 in 3 girls have already been the victim of sexual assault, and in boys those numbers range anywhere from 1 in 7 to 1 in 5 (and these numbers are widely thought to low, due to the prevalence of underreporting). Sexual violence is so pervasive, yet there’s still so much silence surrounding this issue. As I began writing The Way I Used to Be, I saw a chance to really explore what that silence means and feels like, and ultimately, what it might take to break that silence. YABC: Why did you decide to divide the book into the different grades of high school? AS: I wanted to use the element of time to show just how deep and lasting the wounds of violence can be. By following the main character, Eden across all four years of high school, we can see the person she was before she was raped and understand how and why she evolves into the person she becomes by the end of the book. I also wanted to show how, with the passage of time, silence itself can become a force of violence, one that often begins with a slow burn, but can quietly build up to disastrous proportions, not only for Eden herself, but for everyone connected to her. For me, it’s not so much the assault that keeps Eden in a state of trauma, it’s her silence. By telling the story across four years I wanted to show how difficult it can be to stand up to abuse, why speaking out isn’t always as simple or easy as some might assume. But, most importantly, what I hoped to reveal along the way is the reason behind her silence: She doesn’t tell anyone what happened because she doesn’t feel like she’ll be heard. Each year that passes, we see Eden trying to gain power over her life, as she struggles to find the strength to become a survivor, in her own way and on her own terms. And in those four years, we see Eden come full circle, finding her way back to her truth and back to finding her voice. YABC: What was the toughest scene to write? AS: The scene I’m thinking of is one that takes place toward the end of the book. It was challenging to write, I think, because it’s a moment of real vulnerability and honesty for Eden, but that’s also why it’s probably one of my favorite scenes. So without getting too spoiler­y, all I will say is that it involves Eden, a former love, an intense conversation, and a monumental moment of truth...all of which happens at an IHOP (while she’s ditching school). YABC: If you could co­write with another author? Who would it be? AS: I think it would be amazing to do something with Ellen Hopkins – her novels in verse are some of all­time favorite books! YABC: Do you have a writing schedule? AS: Ideally, I’d love to just write all day long, but most often I work for several hours early in the day and then several hours in the evening – I try to stick with this schedule as much as can. YABC: Do you have any future projects? AS: Yes, I do. I’m currently working on another contemporary YA that I’m really excited about. It’s slated for publication in the summer of 2017. This book deals with domestic violence, telling the story of three siblings as they cope with the death of their abusive father at the hands of their mother. YABC: If you could sum up Eden in one word? What would it be? YABC: Do you use Playlists when you write? AS: Yes, I usually do listen to music while I’m writing – I like to create enormous playlists for each project I’m working on to help get me in the right mindset. YABC: Do you have a favorite place where you write? A favorite food? AS: I have a separate studio/writing room in my house where I do all of my writing. Favorite foods for writing... In the morning I am definitely fueled by coffee. And when I’m writing in the evening my brainfood is usually something involving dark chocolate! YABC: What message do you want to leave with readers? AS: I think the overarching message I’d like to see readers come away with has to do with self­worth: the importance of finding your voice, speaking your truth, and standing up to abuse in all its forms. And compassion is another big one – compassion for others, and for oneself. Here's more about Amber Smith! 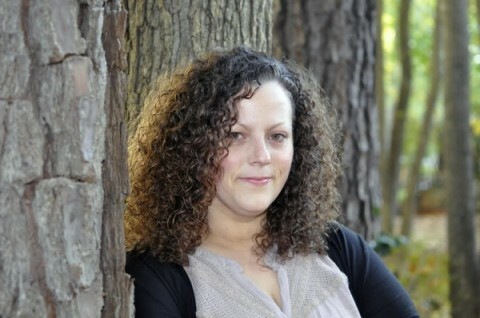 Amber Smith is a writer and artist who grew up in Buffalo, NY and now lives in Charlotte, NC with her two dogs. After graduating from art school with a BFA in Painting, she earned her MA in Art History. When she’s not writing, she is working as a curator and freelance art consultant. Visit her online at www.ambersmithauthor.com, follow her on Twitter @ASmithAuthor and on Facebook at www.facebook.com/AmberSmithAuthor. 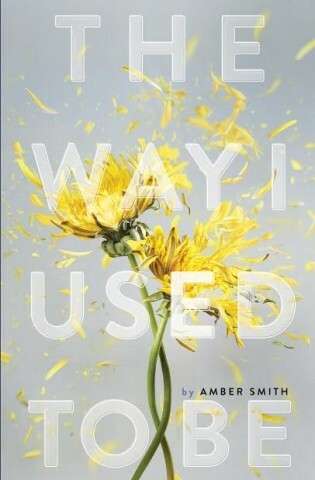 Meet Amber's new book, The Way I Used to Be!